I’m still slogging through thousands of photos, but it’s been very rewarding. I’m happy to see that I really worked hard for that 365 project. I didn’t just take one shot and quit. I tried all kinds of different angles and light for my subjects. I’ve done a lot of deleting, but I’ve rediscovered some old friends too. . . . 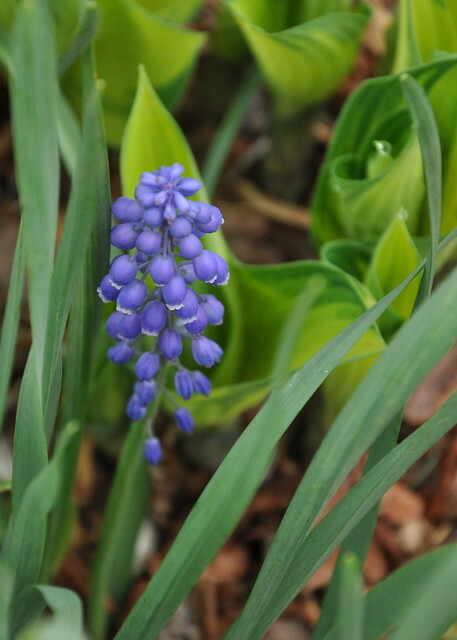 This entry was posted in photography and tagged grape hyacinth, lavender tulip, Muscari. Bookmark the permalink. Lovely photos! It is finally getting cold here in London. But this winter has been odd. It is unusually warm, isn’t it? I’m not complaining though! This is a real treat. It’s been so nice to go for walks without freezing or slipping. So, so beautiful, Carole. 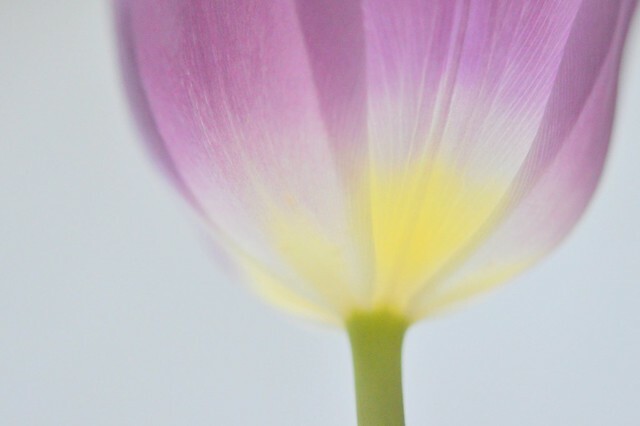 Thanks for sharing spring in the winter! I absolutely love the second photo – those flowers are beautiful and the photo is great! I love both, they are so different but i would prefer the first to put on a wall. Like a painting. We have snow, it’s cold and I am moaning. I’ve almost forgotten what snow is like. So strange for this part of the country! I can’t believe the weather! It’s sooo nice. However, I want one big snow. Then let’s go back to the 60-degree weather. I can’t believe I’m saying this, but I kind of miss the snow. these are both beautiful – so different and refreshing. That first photo reminds of me Georgia O’Keefe paintings. That’s really incredible – your dedication to your art pays off!